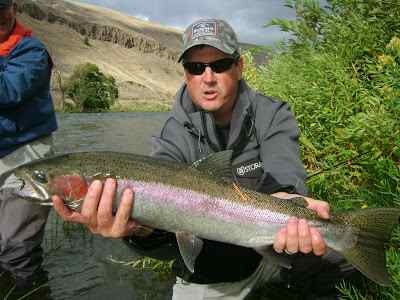 October on the Lower Deschutes brings fantastic fishing opportunities. Steelhead are spread throughout the entire system and there have been numerous reports of anglers catching Steelhead between Warm Springs and Trout Creek. Due to the crazy rainstorms we had a few weeks back, the White River below Maupin is still spitting out some mud. 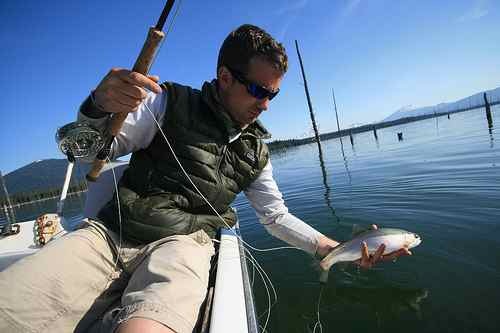 The good news is anglers are still catching fish below the white. The visibility has improved significantly enough that floating lines and traditionals are producing some action. As water temperatures start dropping fish will start slowing down a little and sink tips and nymphing will be a little more productive. Trout have been fairly active and October Caddis have been seen throughout the river. Patterns to have are: October Caddis, Prince Nymph, Glo Bug, Bwo, Moal Leech, Traditional Steelhead Patterns, and Intruders. The river shot up quite a bit thanks to some serious rain over the weekend. Color is off a little bit as well. Look for flows to stabilize and/or drop fairly quickly. That said, I've been on the river every day for the last week and today was the best day of the bunch...we had four steelhead to hand by lunch. Just goes to show, you can't catch a steelhead from the couch. Decent numbers of fish seem to be in the river, with the best concentrations of fish below Whitehorse. Wild fish are making up the majority of the catch, with some being rather large. Enjoy October! 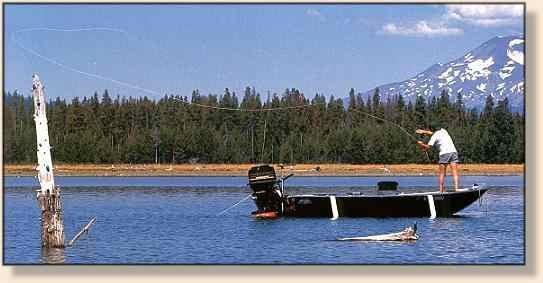 Metolius River: The Metolius River can be one of the better fisheries during October.